Audrey has worked on a self-employed basis at Win Marketing for over 8 years. An experienced book keeper and accounts professional, Audrey handles all day to day aspects of the accounts side of the business. 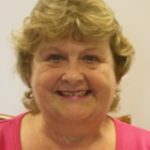 Prior to running her own book keeping and payroll service Audrey worked as a Finance Manager at LOROS Hospice Leicestershire and the British Red Cross.